Would there ever have been a Google if Larry Page and Sergey Brin hadn’t met as graduate students at Stanford University? It’s impossible to know for sure, but the relationship the two co-founders forged at Stanford undoubtedly preceded monumental advances in search engine development. What came out of the pair’s time at Stanford is just one example of the role of higher education in technological innovation. Yet according to Steven Brint of the University of California, Riverside, the frequency of such contributions to the American economy often goes underestimated. 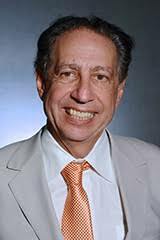 Brint, a distinguished professor of sociology and public policy, has studied higher education in the U.S for more than four decades. In his view, many popular criticisms of the higher education system — about rising tuition costs, student loan debt, and the expansion of the ranks of adjunct faculty, to name a few — overshadow its successes as a mechanism of knowledge growth, innovation, and inclusion. 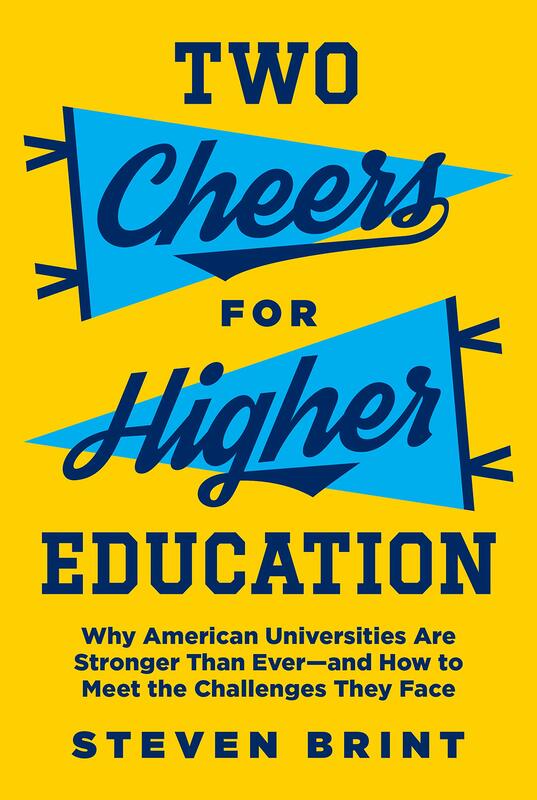 Released in early January, Brint’s new book, “Two Cheers for Higher Education: Why American Universities Are Stronger Than Ever — And How to Meet the Challenges They Face” (Princeton University Press), tracks the evolution of higher education in the U.S. between 1980 and 2015, a period of tremendous advancement for the system. Teaching and research output remained at the core of universities’ mission, Brint said, and were necessary for universities’ autonomy. But during the same period, technological innovation and social inclusion were added to the mix. These two newer emphases sometimes collided with the traditional aims of higher education, but the larger story, according to Brint, is that the three logics of development created a new dynamism. The year 1980 is symbolic because of the passage of the Bayh-Dole Act, which simplified the patenting process for government-funded university researchers, Brint added. Likewise, research expenditures accelerated as universities began to look to external sources for funding. All told, expenditures at a sampling of 188 top research universities grew tenfold between 1979 and 2010 — from $4.4 billion to $46.8 billion in inflation-adjusted dollars — resulting in a research boom with long-lasting impacts. New investments in research — primarily by the federal government, but also by corporations and universities themselves — created an environment in which university-led technological innovation became a central feature of the national innovation system. University-based biomedical and engineering disciplines led the charge, spawning boundary-pushing discoveries like Crispr, a technique for gene editing co-invented by UC Berkeley’s Jennifer Doudna. And alongside federally funded labs, small-business and entrepreneurial development networks fostered partnerships between universities and industry, including in some unexpected industries. In addition to research output, Brint described a second product of higher education as having profound impacts on American society: an emphasis on social inclusion that’s driven the diversification of student bodies and faculties alike. Brint observed that about two-thirds of high schoolers enroll in college right after graduating. Both undergraduate and graduate enrollments “nearly doubled between 1980 and 2015,” he said, with women and minority students representing much of the growth. Meanwhile, many U.S. universities pledged their commitment to campus diversity as the federal financial-aid system made “college for all” more attainable than ever for American students. “When I examined 84 strategic plans of U.S. research universities in the early 2000s, the only theme each one shared in common was a stated and seemingly heartfelt commitment to diversity,” Brint wrote. The confluence of these events positioned universities as key players in a social movement designed to increase access to upward mobility for previously underrepresented groups. With mobility in mind, students flocked toward fields of study “connected to the power centers of the U.S. economy,” Brint explained, such as business, technology, government, health care, and mass media. However, some new liberal arts fields also grew, and these were closely connected to cultural traits of upper-middle-class people living on the coasts — brainy (neurosciences), environmentally conscious (environmental science), aesthetically aware (visual and performing arts) and socially inclusive (non-Western cultural studies, women’s studies, and ethnic studies). For all its merits, Brint doesn’t deny that higher education’s “golden period” has plenty of shortcomings, too. He proposes solutions to the critical issues of increasing costs, reliance on temporary instructors, online competition, and the hostile climate on some university campuses for dissenting speech. For example, he advocates a universal income-contingent loan repayment plan and the conversion of adjunct teaching positions into more permanent lectureships. But the most important problem, he said, is the disappointing quality of undergraduate teaching and learning, which he calls the Achilles’ heel of U.S. higher education. Students have become less academically prepared for entering and leaving universities; they also report spending less time studying than students did in previous generations. And college instructors contribute to the problem by expecting far too little from their undergraduate students. “There’s a tremendous case to be made for more investment in universities, especially by state governments,” Brint said. “What I think states should ask for in return are commitments from universities to do a much better job of teaching undergraduates. In addition to converting adjunct teaching lines, states should ask universities to demonstrate that they are incorporating the lessons of cognitive science, including use of teaching practices inventories as supplements to student evaluations of teaching. Additionally, Brint noted he’d like to see political leaders, philanthropists, and universities come together to establish broader cross-campus partnerships aimed at supporting and commercializing new research breakthroughs. “In the U.S., we need to see at least three or four more collaborations bring together talent and resources by following the models of UC Berkeley, UC San Francisco, and Stanford University on the West Coast, and Harvard University, Harvard Medical School, and the Massachusetts Institute of Technology on the East Coast,” he said.